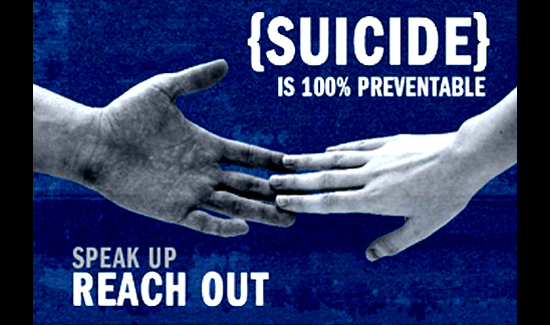 Suicide is an issue that people are often uncomfortable talking about. But from a public safety perspective, the massive increase of rates of suicide—particularly among middle-aged Americans—cannot be ignored. Case in point: it was the end of a shift for Orlando Police Sgt. Tami Edwards when she received a Code 28A call—a suicide attempt. Edwards made her way to the top floor of a seven-story garage, where she found a despondent woman sitting on a ledge. Edwards inched closer to the woman, talking softly, saying she was only there to help. “I don’t need your help. I don’t want you here,” the woman said. “Why are you here?” Edwards asked. The woman pointed to the parking lot and then the street below. “I’m deciding if I should stay or go,” she told the cop. According to the Orlando Sentinel, this wasn’t Tami Edwards’ first suicide call. Like most cops, she’d seen lots of these scenarios. Since 2009, the percentage of suicide calls to Metro Orlando law-enforcement agencies has increased 30 percent. In 2014, Orlando Police received an average of five suicide calls a day. In each of those calls, officers heroically did their best while trying to do a job best suited for mental-health-care professionals. But they are forced to make tough calls. Is the person serious about killing themselves, or are they just seeking attention? Orlando Sgt. Tami Edwards took advantage of special training for suicide calls before she responded call about a woman about to jump off a roof. Mental health experts say other officers would be wise to do the same. Is the person a threat to themselves or others? and what kinds of weapons might be involved that could imperil responding officers? “Police are the key community gatekeepers, even more than mental-health professionals. That is why there are so many of these calls,” said Phillip Osteen, a professor of social work at Florida State University who has studied suicide and law enforcement. In Florida, the numbers are striking. Suicide is the second-leading cause of death among 23 to 34-year-olds and third among those aged 15-24, according to data collected by Florida Vital Statistics. “Police officers find themselves in a very unique position. Most mental health care professionals are not likely to be in a situation where the individual is trying to have the professional kill them,” Osteen said. Obviously, with rising rates of suicide, police training must evolve to meet the new challenges. “We want to train police officers to do the same kind of suicide assessment as mental health professionals,” said Paul Quinnett, founder of the QPR Institute for Suicide Prevention. Quinnett’s organization offers a six-hour online suicide-prevention course for law enforcement professionals. And the Orlando Police Department is considering having their personnel take it. “If we can address suicide, we can reduce violence in society,” noted Sgt. 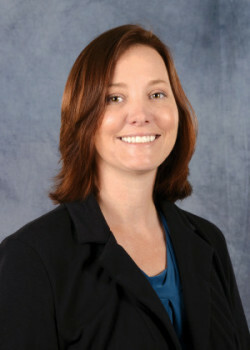 Sue Brown, who supervises the department’s mental-illness training. Tami Edwards decided earlier to take advantage of the suicide training. She learned specific techniques for approaching someone who is suicidal and how to get them talking. “That’s a lot to put on a police officer who has no true medical background,” said Edwards, who has been in law enforcement for 19 years. Sgt. Edwards managed to grab the woman on the roof of the garage with the help of two other officers, just as it appeared she had decided to jump. Had she been alone, Edwards says there’s an excellent chance that she would have been dragged along for the ride when the woman left the ledge.